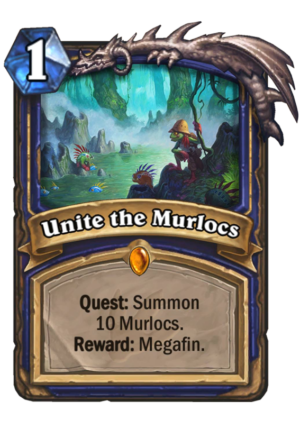 Unite the Murlocs is a 1 Mana Cost Legendary Shaman Spell card from the Journey to Un'Goro set! Quest: Summon 10 Murlocs. Reward: Megafin. For those who do not believe in the capabilities of this card, do you not remember the wise words of hearthstone master Brian Kibler? If it was possible for him to become a 40 health Jaraxxus, then it is possible for all hearthstone players to achieve a turn five Megafin into filling your hand with Murdoch bandleader and old murk-eyes. It takes more luck to dirty rat – entomb jaraxxus than it does to get a good hand with an early megafin. If I can fight through the spell check this paragraph is giving me (Somehow jaraxxus = antacids) and Kibler can get a forty health antacids (jaraxxus) then by all means, you can get a good megafin! Don’t let your memes be dreams! There’s one GIANT flaw with this Quest. There are many answers to it. 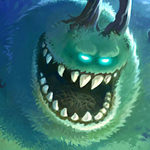 Megafin himself can be Shadow Word: Death’d or Siphon Souled, and the murlocs, even with Warleaders, most of them can be destroyed by Twisting Nether, Dragonfire Potion, or even Pyro plus Equality. Good Quest, but if you opponent has an answer, you’re screwed. Death will rise, from the tide!! Murloc Shaman will finally rise. Nope, you can’t get uncollectible cards. Yeah, and probably it would be too owerpowered. 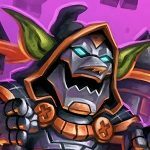 I’ve seen Megafin and he is very similar to Neptulon, but with no Overload cost. Megafin is a 5 mana 8/8 Battlecry: Fill your hand with random Murlocs. Not really impressed and the only good Murloc support that came out in Un’Goro is Primalfin Lookout which allows you to Discover a Murloc if you have an existing one on board. 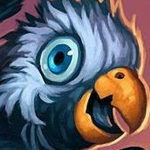 The best Murlocs in the game currently are Bluegill Warrior, Murloc Warleader, and Finja, the Flying Star. Other than that the only other Murloc(s) and support that is worth running is Grimscale Oracle and Gentle Megasaur. 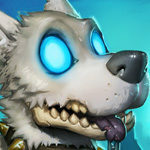 If Blizzard didn’t rotate Old Murk-Eye, then it’d be option to use. 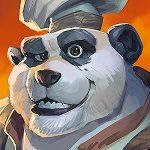 I still think Jade Shaman will be dominant and maybe the possibility of Elemental Shaman. Not only that, but Giantfun IS actually a murloc. uh. you… you know that anyfin is a.. paladin card. right? Going to give you the same advice! What about wild tho…? Why doesn’t anybody like wild? Well honestly the idea of this quest isnt that bad. The main Problem with murlocs has always been that you have too many low drops, which requiered you to combo them but still if it goes badly you will eventually run out of cards. This card prevents exactly that. You can keep flooding the board with murlocs and eventually refill your hand. Pretty cool idea imo. Making your deck worse by adding bad murlocs to it isn’t made better by filling your hand with EVEN WORSE Murlocs. Umm, it says summoned, not played. That means that Call in The Finishers counts towards it. One of the main problem of murloc aggro decks was running out of steam, and this card aims to correct this. But it’s not the best card for that – spending your turn 1 in such an agressive deck on a quest and losing a card of your mulligan to this is not a great idea for any aggro deck. However, I think it might be just playable in shaman with double bluegill/warleader, finja and call in the finishers. Nevertheless, it would require you to insert the two murloc spells in just for the same reason people ran neptulon – some extra juice in the form of random murlocs. Also, I’d say that the 5 mana 8/8 murloc is awesome, but it’s Shaman, so I guess it’s nothing out of the ordinary. Don’t you think it could be a midrange murloc shaman? I mean not like the jade version, but like the old mid paladin..
My personal fear with this quest, minus the lost temp swing of Everyfin rotating out, is that Finja ruins the quest by pulling murlocs to the board, and not counting for “Summon 10 Murlocs.” Surely, Blizzard will have the insight to include that… But Blizzard doesn’t always behave correctly. Pulling minions with finja counts as summoning, dude. Derby of the season : Murloc Paladin vs Murloc Shaman. I don’t think that this in a deck would be a main win condition. This + water package + 2 call in the finishers = 8 cards that can produce 13 murlocs before megafin. You could still play jade shaman with this in mind. Looking around turn 6-7, optimally, I do not know if this card is all that good. 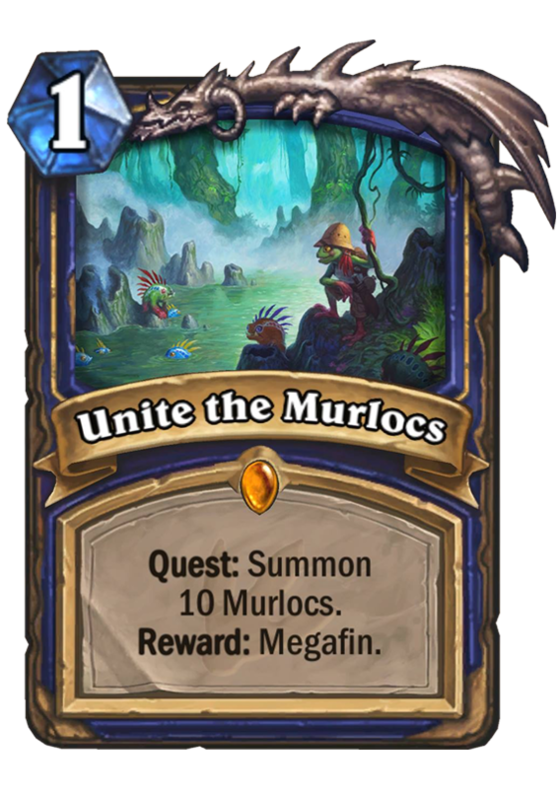 Megafins nice and all but by ten murlocs you probably have won. Maybe a good back up against control decks. It would be used to stop murloc decks from losing momentum when the enemy swings bored control. A hand full of Murdock’s is insane! Esp if you got the right combos like a tidecaller, stinger, and seer.